AltLend assembles industry thought leaders from Small Business Financial Institute, Lending Circle, Kabbage, Lendio, Fundation, Dealstruck, Multifunding, Creditera, Biz2Credit, and more to identify challenges and opportunities in this space. For more information on session topics and speakers, click here. 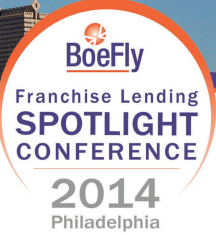 Franchise owners are exciting targets for bankers looking to make small business loans. This event is a rich opportunity to understand the fundamentals of leading brands growing in Texas and across sectors and to establish a pipeline of future business borrowers. Presenting brands include Intercontinental Hotel Brands, Hurricane Grill & Wings, Driven Brands and CKE Restaurants. SBA is pleased to announce its first annual SBA West Coast export roundtable. The program is being designed to serve Western and West Coast lenders and is intended to complement SBA’s annual spring roundtable held in Washington, DC. The roundtable’s primary focus will be SBA’s Export Working Capital Program (EWCP) which provides 90% loan guarantees for working capital loans up to $5 million. The roundtable is ideal for lending institutions that are either now or seek to be active in SBA EWCP lending. September 17th from 10:30 am to 3:30 p.m.